Today I would like to discuss how to load Zip Codes to AX 2012 from a Text file and also point out what happens in the background. 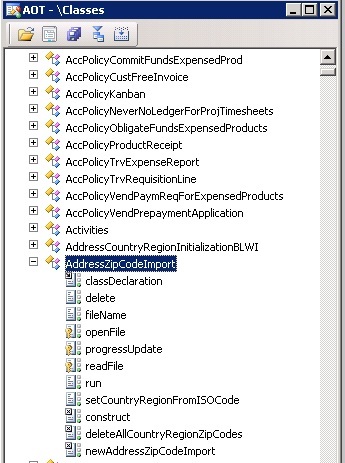 In AX 2012, this task is fairly simple as there is an abstract class (AdressZipCodeImport) that takes care of this function. 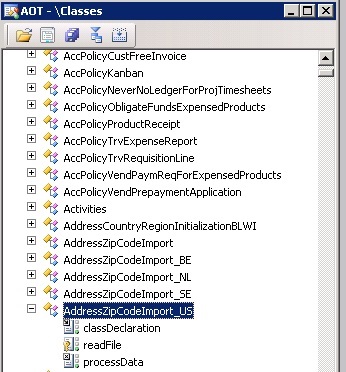 In addition to the abstract class, there is another class (AdressZipCodeImport_US) for each specific country that overwrites the ReadFile() method in the AddressZipCodeImport abstract class. 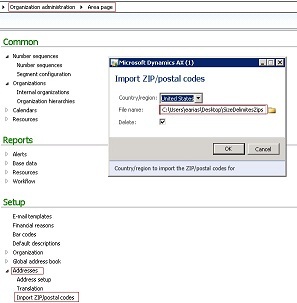 In AX 2012, there only 4 countries available for Zip Code upload. 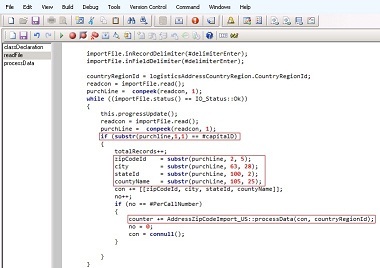 The AdressZipCodeImport_US class ReadFile() method contains a while loop that will allocate the data from the file being read into the LogisticsAddress variables. 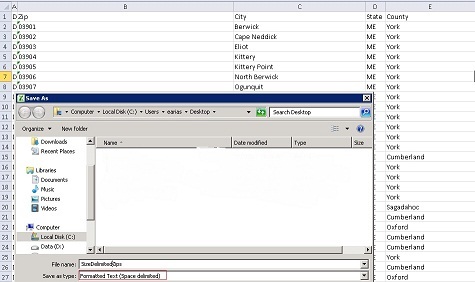 To accomplish this, you will have to have your zip code, city, state and county name in an Excel file where you create the required spaces between fields and then save it as space delimiter file. It is very interesting to see how the AX 2012 team has put a lot of thought into these common tasks as they help us be more efficient on something we don't need to really spend a lot of time figuring out. Which are the other countries you were talking about? 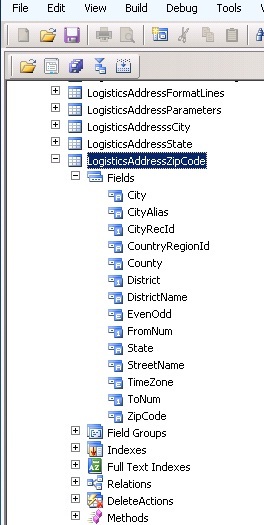 Hi, do we need to create all the US zipcode, state and county information in an excel file? If so, where can I find a list of all zip,state and county information?